Kidney stones are crystallized accumulations of minerals and acid salts within the kidneys. They are usually small – about the size of a very small pebble. However, stones as large as golf balls have been reported in some patients. 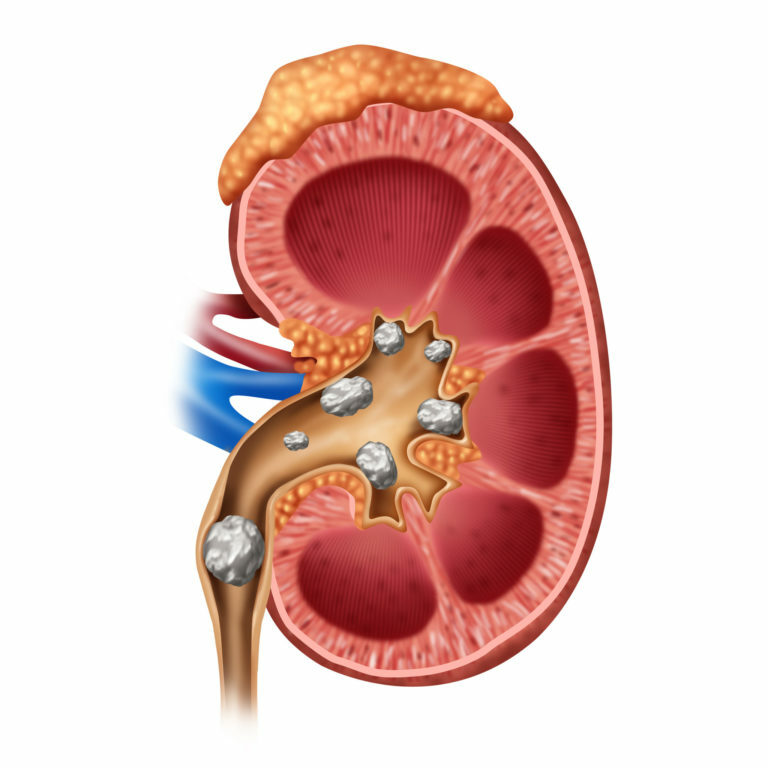 Most kidney stones are painful, and some require urology treatment. A urologist can help patients manage, treat, and prevent kidney stones. that approximately 1 million people undergo treatment for kidney stones in the U.S. every year? Though they can occur at any age, they most frequently develop in young adults between the ages of 20 and 40. Unfortunately, once a person develops a kidney stone, he or she is much more likely to develop additional stones in the future. The symptoms of kidney stones are quite uncomfortable, often causing intense pain in the back or side. Additional symptoms may include fever, chills, bloody or cloudy urine, and burning during urination. See your urologist if you experience any of the symptoms or others that cause you concern. What types of treatments are available to patients with kidney stones? Often, kidney stones pass from the body on their own without any urology intervention other than optional pain management. Others may require treatment, such as shock waves to help break up a large stone. Medications are also available to help relax the ureters and allow a stone to pass more quickly. Ureteroscopy and tunnel surgeries are alternative treatments used to capture and remove stones from the ureter or kidneys. Is there anything I can do to prevent getting kidney stones in the future? There are many ways you can lower your risk of getting kidney stones. The National Institute of Diabetes and Kidney Diseases recommends drinking plenty of water – at least 12 glasses a day. You should also limit your intake of caffeine as this can contribute to a more rapid loss of fluids from the body. Dietary modifications and medications may become necessary if you continue to develop kidney stones despite increased water intake.